Things are going pretty well these days for Iggy and the Stooges, who in addition to playing around the world to bigger audiences than ever were, this past March, inducted into the Rock and Roll Hall of Fame. It's a far cry from their ’73/’74 tour in support of arguably their most incendiary album, Raw Power, after which they’d become just another in a long line of rock ’n’ roll casualties. Their demise wasn’t pretty, either. As well as whatever turmoil and demons plagued its members, the band’s already edgy live performances had in the end turned adversarial with the audience and, as documented on the Metallic K.O. bootleg, dangerous. 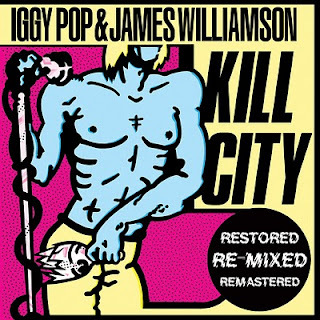 With an uncertain future, insufficient funds, and no record label willing to compensate in good faith for any such assurances, Stooges frontman and guitarist, Iggy Pop and James Williamson, respectively, collaborated on a batch of songs that came to be known as Kill City. Written in 1975 though not released until 1977—once Pop had established some success as a solo artist—the album was a hit among fans, but it suffered from a disappointing, muddled sound. 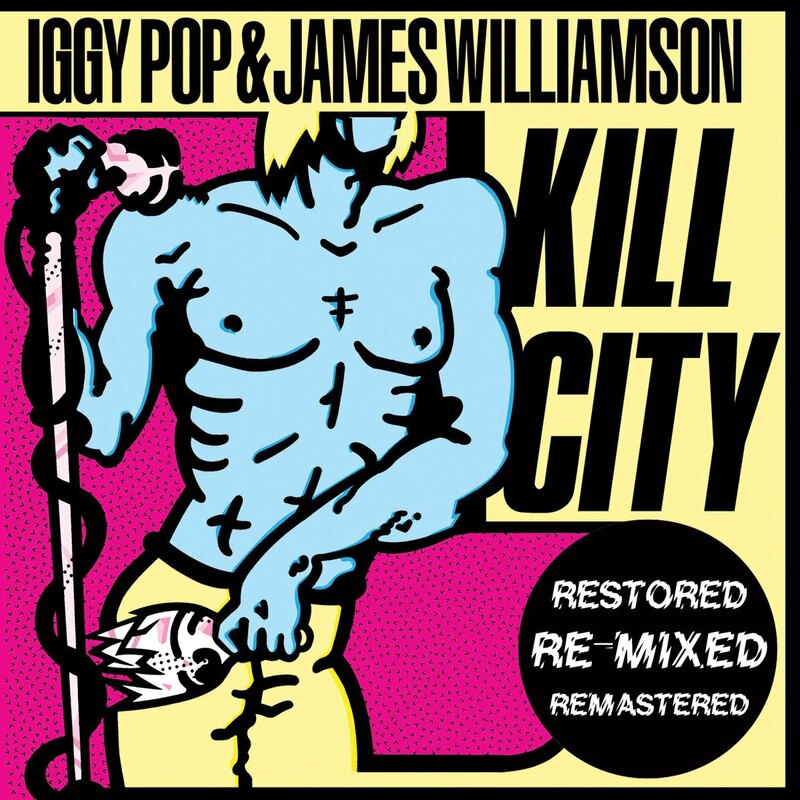 Newly reissued, Kill City has been remixed and remastered by Williamson and GRAMMY-winning engineer Ed Cherney to achieve the kind of sonic quality the album always merited. “This mix has really reached the full potential of those songs,” Williamson affirms. When you recorded Kill City—it wasn’t meant to be a Stooges album because you guys had disintegrated by that point—what were your intentions for it? Did you want it to sound different than a Stooges record? It was essentially a demo to get a record deal. Whether or not the Stooges played on the record is kind of hard to say at this point. I mean, yeah, the band had broken up, but we also had a history of reforming it too. It could’ve been a Stooges album. It’s really impossible to say now. We wanted to get a record deal and, in those days, that [was] kind of the fundamental thing. It was all about selling records then, not about playing live. So that’s what we were going about trying to do. Songs like “I Got Nothin’” have harmonies and melodic nuances. What informed that? In the tail end of the Stooges in that phase, we had introduced background vocals into the set. We became the Singing Stooges. [Laughs] Prior to that the only guy singing was Iggy. We had Scott Thurston, who has a good voice, on keyboards. And we got me, who doesn’t have a good voice but likes to look like he’s singing. So we were kind of singing that way towards the end. It was kind of natural to want to put harmonies on the demo. And we had some good singers that were playing. We had Thurston again, and I also brought in the Sales brothers, who were my buddies. They have really good voices and they did some harmonies too on some of them. Are there any plans to reissue Metallic K.O.? None. No. We’ve never talked about that. I mean, I don’t know what the point would be because it’s a live recording and I don’t know how much we could change it. I have mixed feelings about that record anyway. It really was a bootleg. What happens on that record with all the bottles breaking and everything, it seems kind of cool, but by the same token I feel a little bit responsible for the antics that went on after that because, along with Altamont and some other stuff that was pretty dark in those days, I think the whole subsequent attitude became kind of a little violent and unnecessary in my opinion because people thought it was cool what the Stooges did. 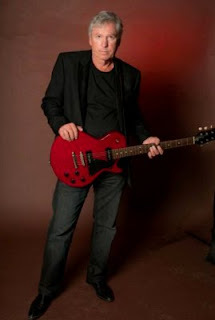 In your acceptance speech at the Rock and Roll Hall of Fame induction ceremony you said, “I don’t know of any other band that would’ve had me.” What distinguishes the way you approach the guitar? Well, I’m more or less self-taught. I did have a neighbor who I was fortunate enough to move next to the summer before eighth grade. And he taught me how to play bar chords and all the basic stuff that you need, but I very quickly realized that it was easier for me to write my own stuff than it was to learn how to play other guys’ stuff. Even though I did a fair amount of that too, from the very beginning I always wrote my own stuff. It didn’t sound like much back then, but it always had a certain characteristic. I liked to play lots of very fast chord changes and things like that, and just make a bunch of noise. That’s kind of how my style evolved. 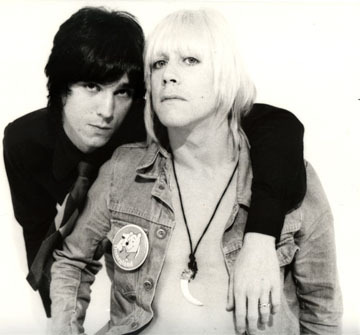 When I first met Iggy, actually, I had my guitar with me and played him one of my songs. And I think that stuck with him. The trouble with it is that style, it works for me, but it’s difficult to work with a band, number one, if you have more than one guitar player, because there’s no air in there for someone else to come in and do something. It’s just me. There’s no Keith Richards/Ronnie Wood sort of tapestry. Right, exactly. There’s nowhere for anybody to do that. It’s also a little challenging for a singer because usually people give the singer some air too, and he’s got his place in there. But I don’t give any of that—in most songs. I’ve learned to be a little better. I mean, you can’t imagine me playing with Bob Seger, can you? It would just be… Well, they’d never hire me. [Laughs] And [it’s] the same with most bands. It was only the Stooges who saw the possibilities in that. I really have to hand it to Iggy because it was only Iggy who could make enough sense out of it to help me mold it into a song that he could actually sing and it had a structure. In the past couple years there’s been a shift in perception of the band. What do you attribute that to? You’ve essentially grown into your legend. It’s a really, really interesting thing and I can’t claim that I have all the answers, but I think a lot of it is that at the time when we were around, all of our stuff was ours. We created it; it came from within us. We liked it and we didn’t care whether anybody else did. There really was no sound like we had and there was no style like we had. I think the term’s been said before; there was no vocabulary for what the Stooges did at that point. But later on, people imitated us. So over the years their vocabulary was developed and people heard it enough that they became accustomed to the sound of it. And now all that stuff, Raw Power or Kill City or whatever, sounds contemporary to people because it reflects on all the other people who imitated us. I think that’s a lot of it. The other part of it is we have credibility because we never sold out. Essentially we maintained ourselves in the way that we always were. We played our music the way we liked to play it. And I think what has happened is that the mainstream was not able to push us down and so they basically assimilated us. So now we’re part of the overall thing even though we’re kind of the most unusual people to be there. 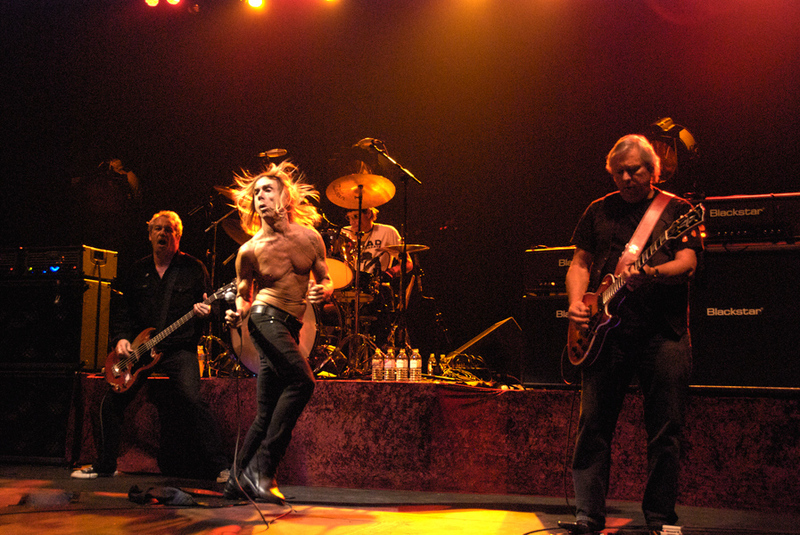 For more information, please visit the official Iggy and the Stooges website.